Virtual Book Display Bounce Back! 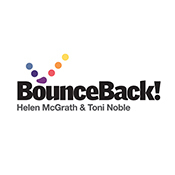 Written by best-selling authors Helen McGrath and Toni Noble, Bounce Back! promotes positive mental health and student wellbeing. Browse resources below or click the link to visit the Bounce Back! main page. Click here to learn more about Bounce Back!